Okay, so you’ve decided where you want to go, but what are you going to do while there? We aren’t over-planners, so we do a little prep beforehand, but most of what we see is decided when we are actually at our location – most of the time the evening before we go. Here’s a breakdown on how we plan our trips and what we do. Check Out Tour Companies: I went on one of those 20-cities-in-2-days kind of trips before, and it was alright, but not our style. Still, those tours are pretty good sources of information. For a big trip, I’ll check out some tour packages to get an idea of where they go, how they organize the trip and the highlights of each town. Just know that these groups often have a chartered bus, so you have to do a little research on how you’ll get from place to place. Online Resources: The best online resources are your friends (also IRL) and social networks. Post on FB and twitter to see if anyone you know/follow has any experience in your destination. Someone will always have great feedback. Also, Trip Advisor has great advice. We’ve found some amazing small, historic inns through the site. The comments have always been spot-on. 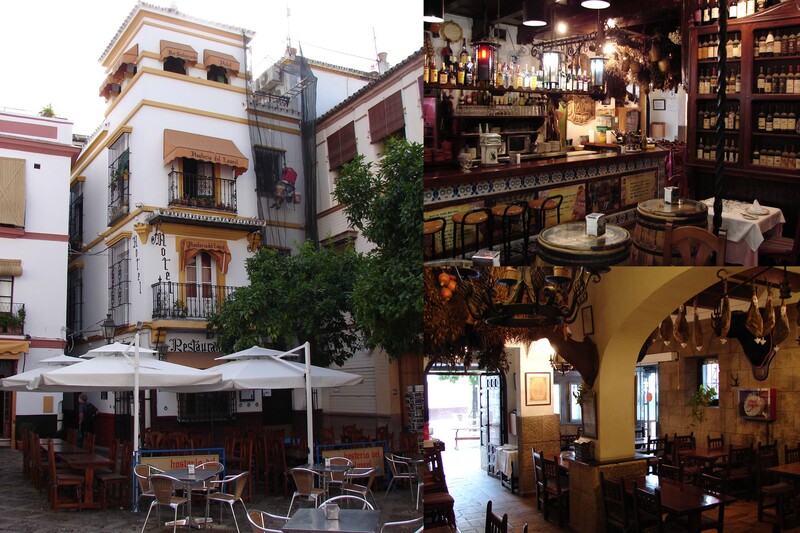 Hosteria del Laurel in Sevilla, Spain – one of our Trip Advisor finds. Old-School Books: We love the Frommer’s books for logistics, and the DK books for activities and history. It’s nice to have them at the hotel, since Internet connection isn’t always a given. Money: Some countries are going cash-free, and a lot of Europe is switching to the special-chip credit cars, so regular credit cards won’t work. Also, let your card company know when and where you’ll be, otherwise they can freeze your account if they think it’s been hacked. Ghost Tour: Every town we go to, we try to take a ghost tour. Not because we’re all into spooks and goblins, but more because they share stories of how people used to live in the past. You get such a good sense of what daily life was for people who lived in that area centuries ago. If ghosts aren’t your style, there are usually other local tours that are worth doing. True, most are cheesy (for example, we’re thinking about doing a “Magical Mystery” Beatles tour), but they show you different parts of your destination, and they are usually cheap, so you can just ditch the tour if you don’t like it. Plus, you’ll get to see stuff that you can go check out later. Ditch the Nice Restaurants & Fast Food: Nice restaurants are the same everywhere – a matire’d, white tablecloths, steak and salad and a dessert tray. Fast food places are all the same as well. We like to go for the in-between. Find local places, go for what the area is known for and go for the real thing. Our one exception: Pizza Hut. When we were in Hong Kong, a nurse at the hospital slipped us a take-out menu for Pizza Hut. Considering we’d been eating Chinese hospital food (it’s every bit as delicious as it sounds), we jumped on the chance to get some pizza. It was amazing. So much better than Pizza Hut in the U.S. Every since then, when we are international (except in Italy – that would just be wrong), we get Pizza Hut to try to test our theory. So far? International Pizza Hut pizza is uh-mazing. This might make me one of those ‘ugly Americans’, but I really don’t care. Speaking of Ugly Americans: Don’t be one. Be gracious and strive to learn about the culture. Speak the language – don’t assume that since English is one of the universal languages, that everyone should bow down and speak it to you. Learn the basics: hello, please, thank you, can you help me?, how much?, goodbye. Another phrase that I’ve found helpful is I don’t speak much [insert language]. That coupled with can you help me, please? always gets whatever shopkeeper I’m talking with to be nice. They usually want to try out their English and teach you their language. Night In: Our Pizza Hut night usually ends up being halfway through our trip. We’ll have a night in to kind of recharge (this is usually the night I give myself a pedi like I mentioned in Part 2). It’s nice to just relax and have down time, check out local TV, reorganize the stuff we’ve accumulated and make sure we haven’t missed out on anything we wanted to see. Skip Restaurants All Together: A lot of times, we’ll dip into grocery stores and markets, check out all the local stuff they have, see how it’s all set up and get enough goodies for snacks and even a meal or two. Then hit a park or the local riverfront with the goodies and have a great time people-watching. One of my favorite travel memories is in Rome, where we saw an old-school butcher shop – the kind with sausages hanging all over and bottles of wine everywhere – and decided to check it out. I ended up striking up a conversation with the butcher (in my butchered Italian, of course). He talked to me about the fresh mozzarella and their amazing prosciutto, and that ended up being our dinner that night. We went back to the little courtyard of our hotel and enjoyed our mozzarella and prosciutto – simply perfect. Local markets and shops are such a great way to get the ‘flavor’ of where you are. Know Where You’re Going: Some places have a dress code. Other places only allow a certain number of guests each day, so you have to buy tickets in advance. My hubby loves brewery tours, so we make sure to have a big breakfast those days, and make sure someone stays coherent (lucky him having a pregnant wife who doesn’t like beer anyway…). If your heart is set on having a picnic by the Eiffel Tower, bring something to sit on. Just know where you’re going and what you’ll need. 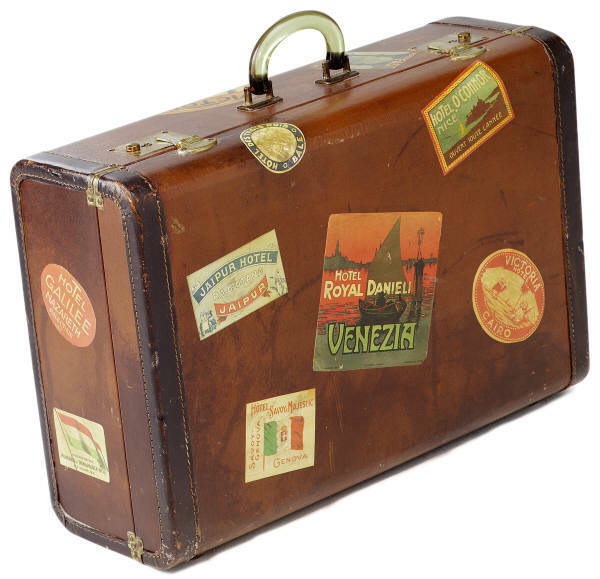 I would love suggestions on making my trip better…Do you have any travel traditions? This entry was posted in Travel and tagged packing list, travel list on May 24, 2012 by aliciamariel.